In what I'm hoping is a baffling joke, Fox has unveiled plans to launch a massively multiplayer online game based on animated sitcom Family Guy. In case you've somehow avoided the show for the last decade, Family Guy is an animated pastiche of sitcom cliches, obscure references to the 1980s and cast members from other, now-defunct Fox programs. So far, almost nothing is known of Family Guy Online. In truth, the game's existence as of now is contained entirely within the newly-launched Family Guy Online website. The site asks fans to register for a chance to join an upcoming beta test of the game, though offers no dates for when this beta test will take place. Likewise, the closest the site gets to throwing fans a release date is the nebulous "coming soon." 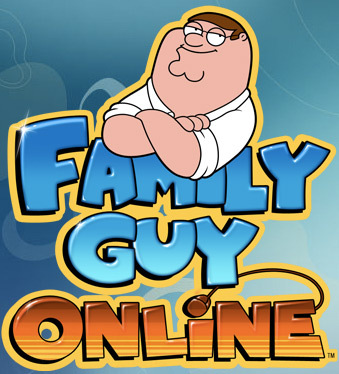 By contrast, the game's Facebook site claims Family Guy Online will appear in "Fall 2011," so that's something at least. Family Guy aficionados may recall that this is not the first time Fox's most recent attempt to recreate the success of The Simpsons has entered the virtual world. In 2006, a game based on the series was released for the PlayStation 2, original Xbox and PSP. The Xbox iteration, which is apparently the best version of the game, currently commands a 53/100 rating among professional gaming critics on Metacritic. "Maybe those poor scores are the result of a bad developer," I hear the Internet shouting. That's entirely possible. Developer High Voltage Software has never created a game that one might consider a "classic." So who is handling development on Family Guy Online? I wish I had an answer for you, but that's a mystery. Nowhere does Fox reveal this information. If they handed the property to an established development studio you'd think they'd mention that somewhere, wouldn't you? I'll admit, my cultural elitism biases me against anything Family Guy creator Seth MacFarlane is even remotely involved with. The man has the hubris to remake The Flintstones, for Dino's sake! Still, forgetting my own personal proclivity toward wit, this entire MMO project smacks of cheap cash-in. I'm withholding official judgment until release (or, at the very least, until we get some screenshots and gameplay details), but until then my sense of superiority will be set at maximum smugness.